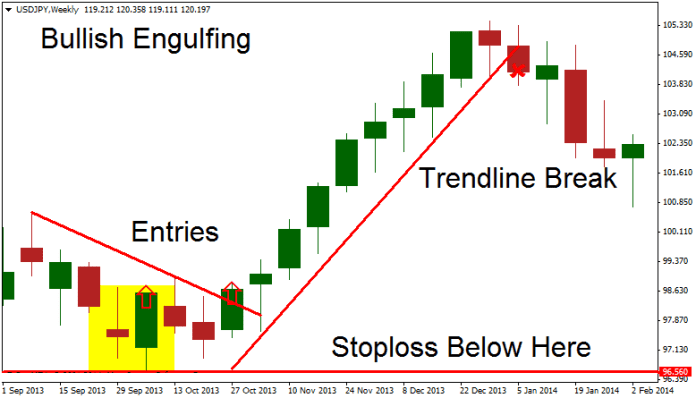 A “bullish engulfing pattern” consists of a large green real body that engulfs a small red real body during a downtrend. 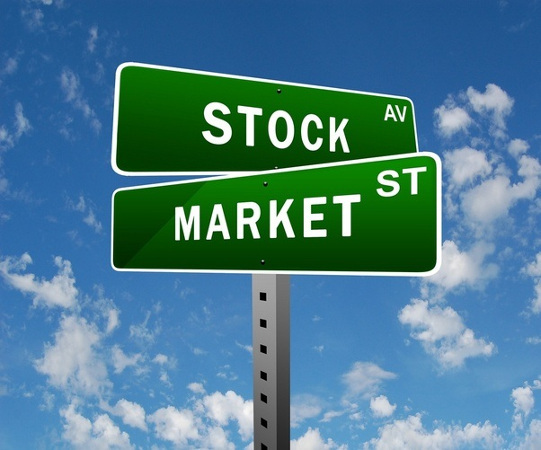 It signifies that the buyers are overwhelming the sellers. 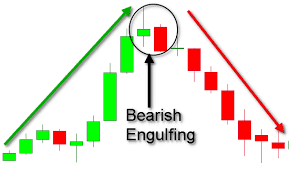 The Engulfing pattern is a major reversal pattern comprised of two opposite colored bodies.This Bullish Pattern is formed after a downtrend. 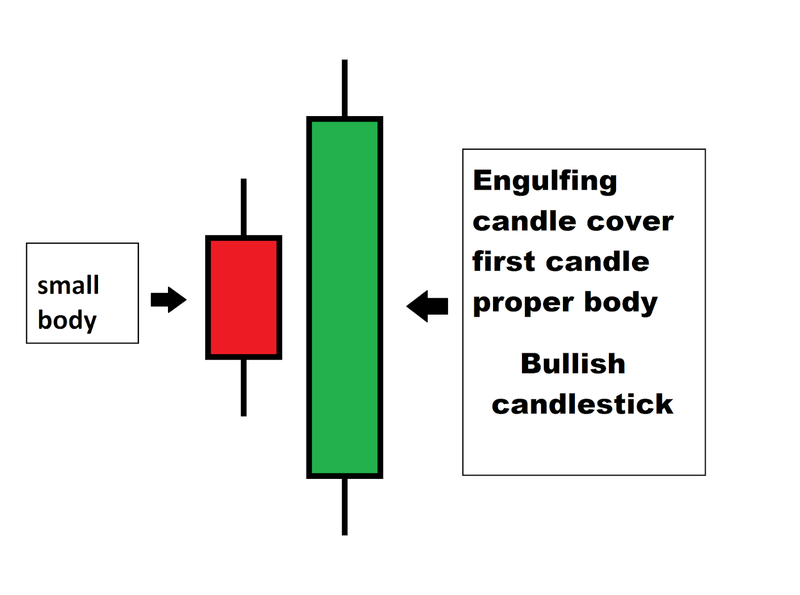 It is formed when a small red candlestick is followed by a large green candlestick that completely eclipses the previous day candlestick. It opens lower that the previous day’s close and closes higher than the previous day’s open. 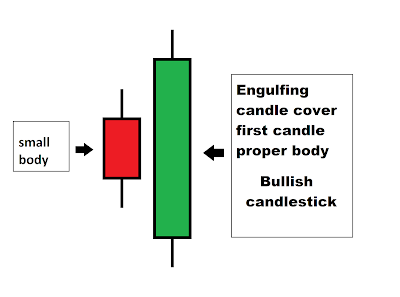 1.The candlestick body of the previous day is completely overshadowed by the next day’s candlestick. 2. Prices have been declining definitely, even if it has been in short term. 3. The color of the first candle is similar to that of the previous one and the body of the second candle is opposite in color to that first candle. The only exception being an engulfed body which is a doji. 1. A small body being covered by the larger one. The previous day shows the trend was running out of steam. The large body shows that the new direction has started with good force. 3. The engulfing body engulfs absorbs the body and the shadows of the previous day; the reversal has a greater probability of working. 4. The probability of a strong reversal increases as the open gaps between the previous and the current day increases. After a decline has taken place, the price opens at a lower level than its previous day closing price. Before the close of the day, the buyers have taken over and have led to an increase in the price above the opening price of the previous day. 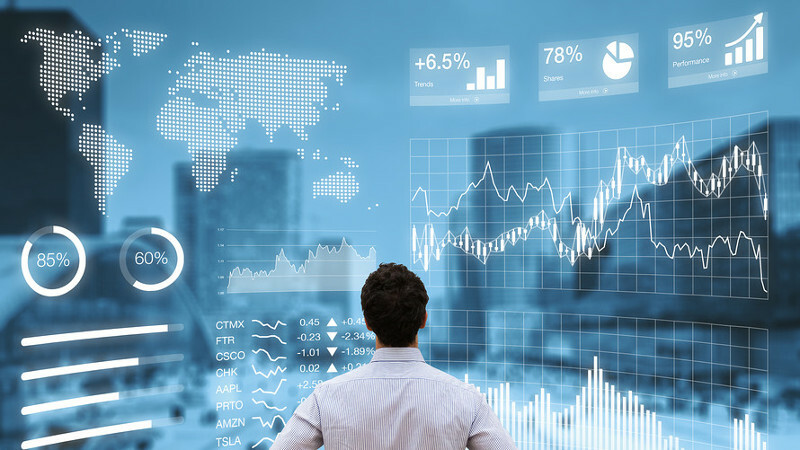 The emotional psychology of the trend has now been altered. 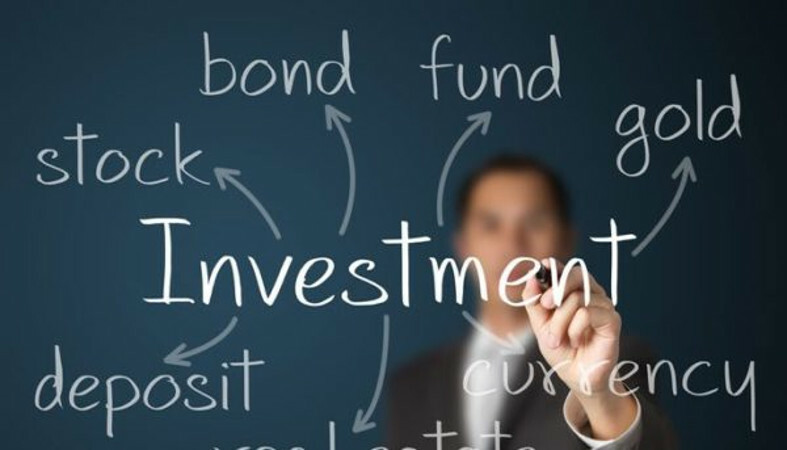 When investors are learning the stock market they should utilize information that has worked with high probability in the past. 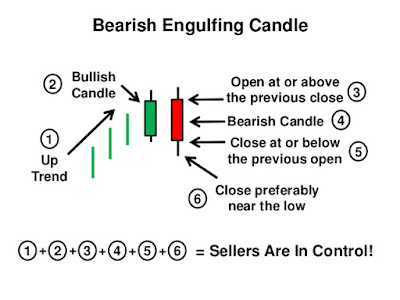 Bullish Engulfing signal if used after proper training and at proper locations, can lead to highly profitable trades and consistent results. 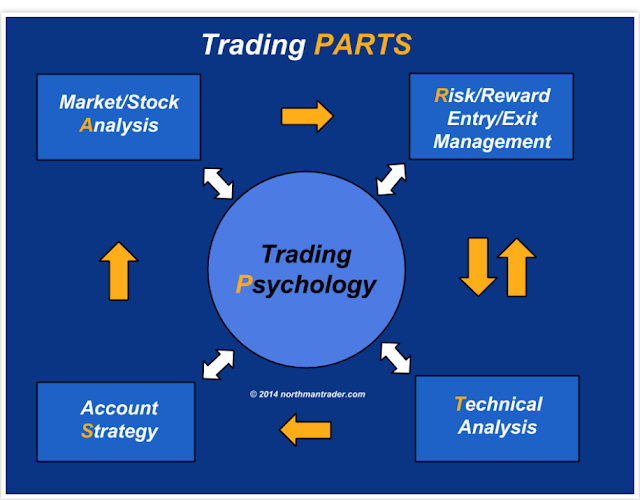 This pattern allows an investor to improve their probabilities of been in a correct trade. The common sense elements conveyed in candlestick signals makes for a clear and concise trading technique for beginning investors as well as experienced traders.